Medley at Southshore Bay is a new active adult community located in Wimauma, Florida. 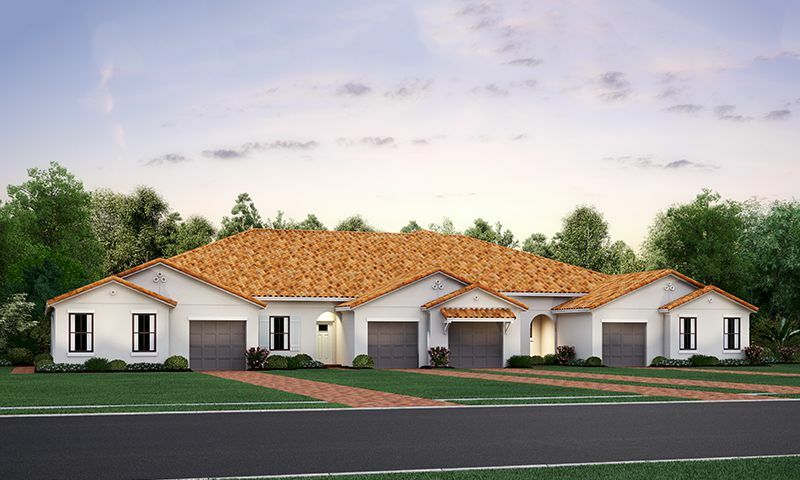 Offering three floor plans, homes range in size from 1,396 to 2,775 square feet and provide two or three bedrooms, two or three bathrooms, and a one to three car attached garage space. Residents will have access to a modern clubhouse with multi-purpose rooms and a tiki bar, perfect for socializing with neighbors and taking part in community events. There will also be a fitness center with an onsite actives director. Outside, residents will be able to stay in shape thanks to the swimming pool, tennis courts, and volleyball courts. There is also the a five-and-a-half acre Crystal Lagoon nearby. Located near Tampa Bay, Medley at Southshore Bay is near an assortment of shops, restaurants, and entertainment venues. Check back soon for more information on the lifestyle in Medley at Southshore Bay. 55places.com is not affiliated with the developer(s) or homeowners association of Medley at Southshore Bay. The information you submit is distributed to a 55places.com Partner Agent, who is a licensed real estate agent. The information regarding Medley at Southshore Bay has not been verified or approved by the developer or homeowners association. Please verify all information prior to purchasing. 55places.com is not responsible for any errors regarding the information displayed on this website.